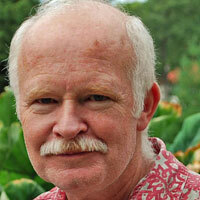 Tom Boswell is a community organizer, photographer and freelance journalist residing in Evansville, Wisconsin. His poetry has appeared in Rattle, Poet Lore, The Potomac Review, The Dos Passos Review, Two Thirds North and other journals. He has won national contests judged by Luis Alberto Urrea, Robert Cording and Tony Hoagland. Midwestern Heart (Codhill Press, 2011), winner of the 2011 Codhill Poetry Chapbook Award, is available through various vendors including SUNY Press, Powell’s Books and Amazon, as well as some local bookstores, the author, or at codhill.com/boswell_mid-heart.html. the more alone I will feel. Beating on plastic buckets like bratty children. with no colors that no one need salute. its profligate white bouquets each June. dark, luxurious hair. She is beautiful. Her eyes catch mine, then look away. that fade, then fall, too fast, each June.